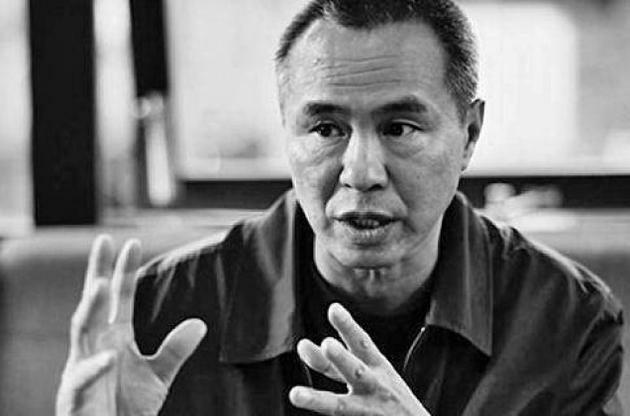 Before he hit it big with 1986’s A Better Tomorrow, John Woo was a journeyman director for hire on the margins of the Hong Kong film industry. He worked mostly in slapstick comedies such as the Chaplin homage Laughing Times with Dean Shek, or the hit Ricky Hui film From Riches to Rags, along with a handful of action films in the established kung fu and wuxia genres, most notably his 1973 debut The Young Dragons and 1979’s Last Hurrah for Chivalry, which is in many respects The Killer with swords instead of guns. One of his oddest films during this period was a musical made for the Golden Harvest studio in 1976, Princess Chang Ping, which plays this week in Scarecrow Video’s Screening Lounge. Based on a 1957 Cantonese opera that was itself based on historical events from the late Ming Dynasty (the mid-1600s) and starring actors from an actual opera troupe, in performance it is wildly theatrical, translating the gestural and recitative stage tradition to the big screen. The structure is theatrical as well, made up of long scenes set in a single location, with the actors coming and going developing the plot in song. The first twenty minutes takes place entirely in one throne room location, establishing the romance between the eponymous Princess, daughter of the Ming Emperor, and a young courtier named Chow Shih-hsien. In full view of the court, he woos her with wit and wordplay, a Shakespearean exchange that marks them both as outsiders in the restrictive court world and demonstrates their shared aesthetics and belief system. Things are going well, when Woo, in a shocking cut, throws us outside the palace as cannons roar and the rebels are closing in: the Manchus are about to bring the dynasty to an end. The break in location is more than just a jolt of explosion: it’s a blast of reality into the highly ritualized world of court culture, an intrusion of violence into the ultra-civilized. This sets up the first of several Woovian dilemmas, conflicts between moral codes that drive so many of his later films. The Emperor, rather than let them be taken alive, orders his wives and children to kill themselves before he does the same. The older women do so, with much wailing, but Chang Ping herself doesn’t want to die (she’s just found a guy that really understands her!). In a rush, her father resolves to do it himself (for her own good) and draws his sword (here the play differs from history: according to tradition, the Emperor severed her arm. In one version of the tale, she becomes a martial artist and leader of the anti-Manchu resistance, known as the One-Armed Divine Nun). Merely scratched, the princess survives and goes into hiding. One day, the prince (he survived too, being haplessly knocked unconscious in a manner befitting a young scholar caught up in a battle), having assumed she had died, runs into her at a monastery. They rekindle their love affair, but soon more people discover her secret and she becomes a pawn in the remaining Ming elites’ attempts to ingratiate themselves with the new Qing Dynasty. Chang Ping and Shih-hsien confront the new Emperor (played by the same actor as the old Emperor), resolved to do the honorable thing regardless of what they must sacrifice to accomplish it. This is the progression of most of Woo’s best heroes. First an instantaneous connection with someone who shares their understanding of the moral universe (think of Chow Yun-fat with Danny Lee in The Killer and with Tony Leung in Hard-Boiled). In the gangster films its a shared Code, based on ideas of honor that go back centuries throughout martial arts literature. Such sparks dominant Woo’s career from his debut to his latest film The Crossing, where the connection is explicitly romantic. Eventually, in most cases, the connected pair will find themselves in a stand-off against the forces of the world at large, opportunistic villains motivated by greed or ambition some other base motive. Usually the result is a sacrifice of some kind, as one hero (or both) trade their life for the survival of innocents or simply to prove a point. Thus it’s easy to see why Woo would have been drawn to this story, as opposed to other popular opera films, say something like Li Han-hsiang’s Beyond the Great Wall, in which a Princess is used as a dynastic pawn in a Mizoguchian tale of the historical oppression of women. In Woo’s films, of course, the heroes are almost always men. Princess Chang Ping is a notable exception, especially when you consider that the prince Shih-hsien is also, in following Chinese operatic convention, played by a woman. The film isn’t as glossy or elaborate as the huangmei films the Shaw brothers specialized in before they shifted into martial arts movies (Li Han-hsiang films like The Love Eterne or The Enchanting Shadow) but as mid-70s Golden Harvest productions go, it’s pretty ornate (helped no doubt by the fact that it only has three or four sets). Woo’s camera moves fluidly, emphasizing the theatricality of the world and performances rather than reinforcing it to an alienating degree. 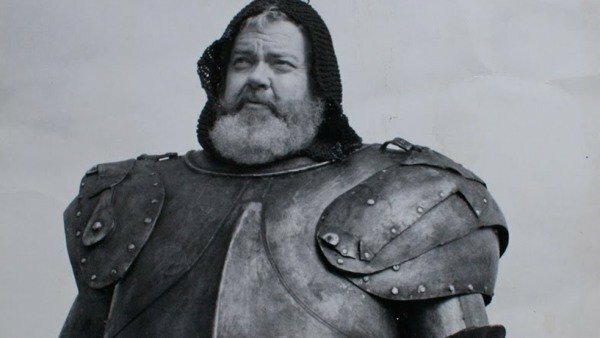 He’s said it was one of his favorite of his early films, the one he had the most fun making and the joy is evident on the screen. Woo’s musicality is an underrated aspect of his film style, not just in the oft-stated relation between his balletic action choreography and the dance film, but simply in the way his best films use music to convey emotion, connecting events and people across space and time. This is the case here, as an opera film the music is inescapable, but also in the synth-pop soundtracks of his late 80s masterpieces and the lush Taro Iwashiro scores of his 21st Century epics. One of the weird things I’ve found in watching a rewatching a ton of Woo films in preparation for an upcoming episode of the They Shot Pictures podcast (should be out early next week) is that my enjoyment of his films is almost directly proportional to my enjoyment of their scores. There might be a chicken and egg relation there, but who knows. 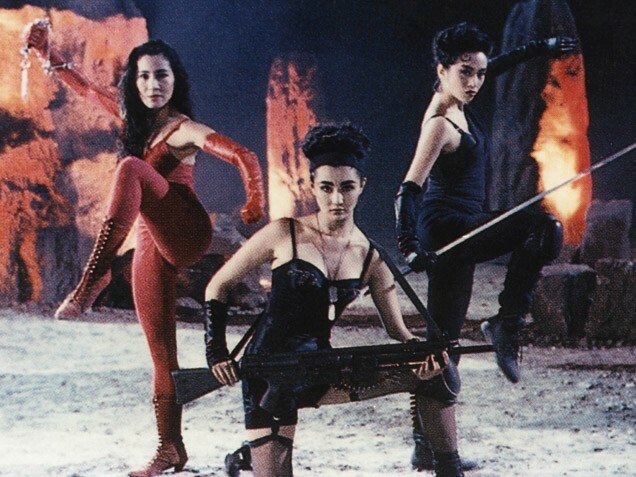 Princess Chang Ping plays Thursday, August 27 Only in the Scarecrow Video Screening Lounge. This Monday and Tuesday April 6th and 7th, Scarecrow Video will be hosting the final two shows in Seattle’s Hou Hsiao-hsien Retrospective, with free screenings of Goodbye South, Goodbye and Café Lumière, respectively. 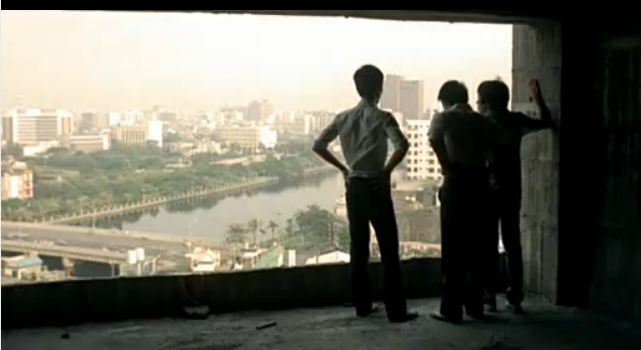 The first was Hou’s follow-up to Good Men, Good Women, a contemporary minimalist gangster hang out picture with Jack Kao, Lim Giong and Annie Shizuka Inoh that owes as much to the Hong Kong New Wave’s genre experimentations as theories of identity and Taiwanese political history. 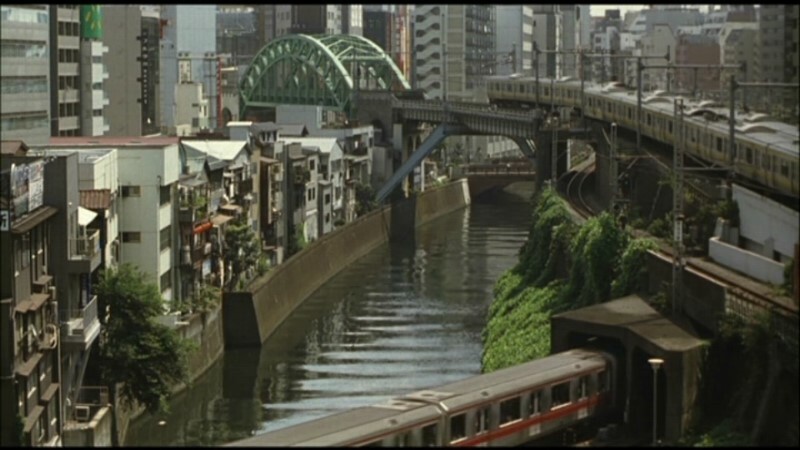 The second was a tribute to Japanese filmmaker Yasujiro Ozu. The following is a slightly revised version of something I wrote about a few shots in Café Lumière back in 2012. One of my earliest and happiest Seattle film experiences was in the late summer of 1998, when I saw Akira Kurosawa’s Yojimbo at Scarecrow Video. It was upstairs, in a little room (I think it’s an office now, but it might be the comedy section) with a dozen folding chairs and a very small screen. The movie played, I believe, in 16mm, a tiny strip of Cinemascope ten feet away. There were four of us in the audience, two strangers and a friend who had never seen a Kurosawa film before, though his films had been seemingly everywhere that August (I had earlier caught Rashomon, Throne of Blood and The Hidden Fortress at the Varsity). It was, of course, a great movie and my friend loved it, sparking his own trip through one of the great 20th Century filmographies. 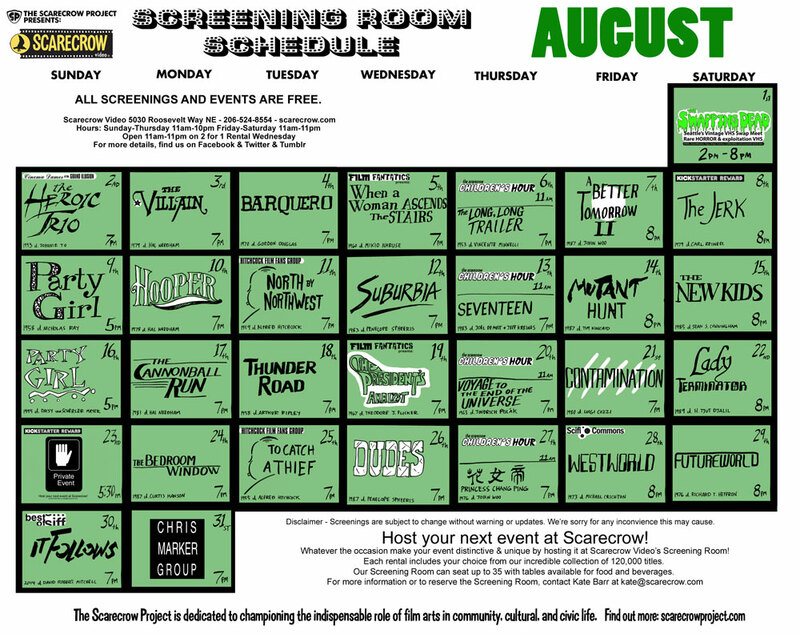 The film showings at Scarecrow ceased sometime shortly after that, I don’t know when or why, but the experience has always stuck with me. We tend to get caught up with the incidentals of our film-going: comfy seats, giant screens, and ear-blasting sound in our multiplexes; giant TVs, plush couches and remote controls in our homes. But all of that is sideshow, what really matters is the movie, and going out to the movie, leaving our own space and sharing a darkened room with a bunch of strangers, all looking at the same pictures on a wall. I’ll see a movie anywhere, in any format, because what matters most is that movie, and there’s no better way to see a movie than in a theatre, any kind of theatre.